The race to become the number one-ranked batsman on the Reliance ICC Test rankings for batsmen has just become even more exciting following England’s seven wicket win against India in Kolkata. 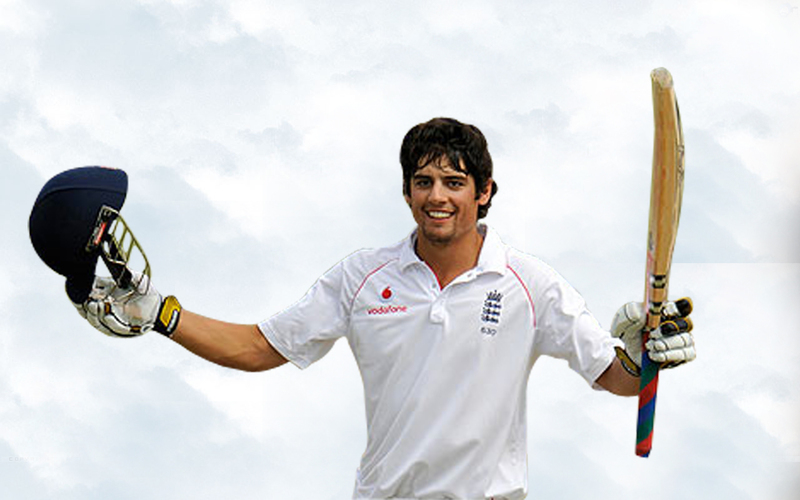 England captain Alastair Cook has jumped one place to fourth and now has a career-best 874 ratings points, in the latest rankings announced on Sunday after the Kolkata Test, in which he was named man-of-the match. It means the top four batsmen in the table are separated by just five ratings points and both Cook and second-placed Australia captain Michael Clarke have the chance to gain the top spot, as they both have further Test matches in the coming week. Cook faces India in the fourth and final Test from 13 December at Nagpur, while Clarke will lead Australia against Sri Lanka from 14 December in Hobart. Apart from Cook, the other major mover on the table among England batsmen is Jonathan Trott who is back in the top 20. Trott has moved up four places to 18th. Virender Sehwag in 23rd (up by one), Gautam Gambhir in 35th (up by one), Mahendra Singh Dhoni in 38th (up by one) and Nick Compton in 85th (up by 21) are the other batsmen to make strides following the Kolkata Test. Kevin Pietersen in ninth (down by one), Ian Bell in 21st (down by three), Cheteshwar Pujara in 25th (down by four) and Yuvraj Singh in 71st (down by two) are some of the other changes in the Reliance ICC batting rankings. The Reliance ICC Test ranking for bowlers continue to be headed by South Africa’s Dale Steyn, followed by Rangana Herath of Sri Lanka and Vernon Philander, Steyn’s South Africa team-mate, who share second place. England paceman James Anderson has moved up three places to seventh while team-mate Monty Panesar, who took five wickets in the Kolkata Test, has moved up two places to 27th. India’s Ravichandran Ashwin has made an all-round improvement in the latest rankings. He has moved up 17 places to 50th in the batting table, gone up two places to 22nd in the bowling table and is now seventh in the all-rounders` table (up by two). The all-rounders` table is headed by South Africa’s Jacques Kallis, followed closely by Bangladesh’s Shakib Al Hasan. England`s Graeme Swann has moved up a place to be jointly ranked fifth with teammate Stuart Broad. The player rankings will now be updated after the Nagpur and Hobart Tests.